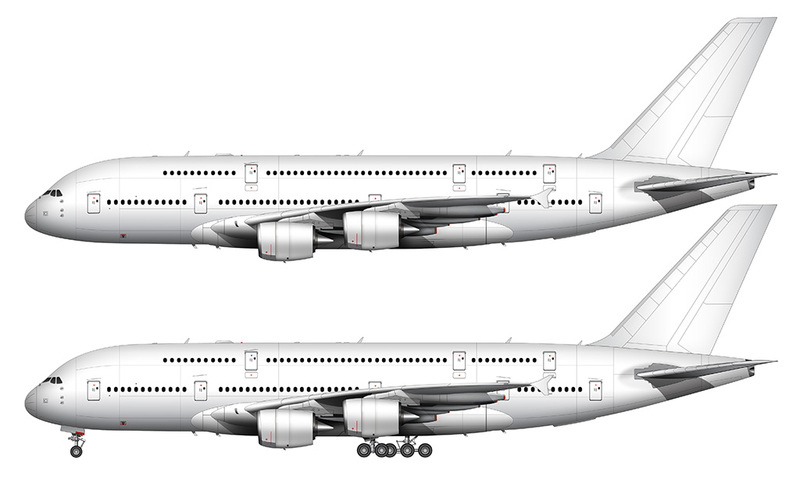 As promised, I’m still making pretty good progress on finishing out my A340 collection with the addition of the larger -500 and -600 variants. 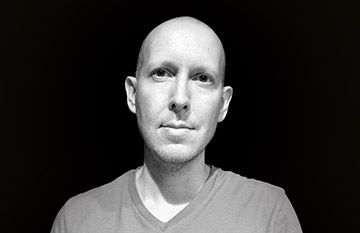 I’ve got the wireframe line drawings complete, and now it’s just a matter of creating the fully shaded white versions. However, my massively short attention span couldn’t leave well enough alone, and earlier this week I felt an overwhelming urge to finish the CRJ-900 illustration that I started a long time ago (but put aside due to other higher priority projects). I will say, however, that this urge didn’t come out of nowhere – there have been several people who have been asking me about a CR9 template for the past few weeks so that no doubt fueled the flames and I couldn’t stop thinking that I should go ahead and try to wrap this up. I thought the CRJ-700 was long, but this -900 takes it to a whole new level. 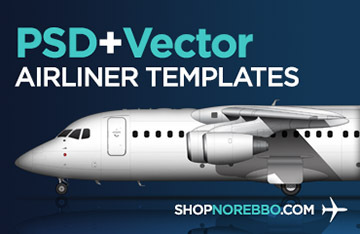 All of the major components (wing, wing box, landing gear, engines, vertical stabilizer, etc) carry over directly from the -700, so this longer version seems overly stretched when comparing the two. The look of a long and sleek aircraft can be nice, but there’s a point where it can be taken too far IMHO. And you want to know what’s really crazy? 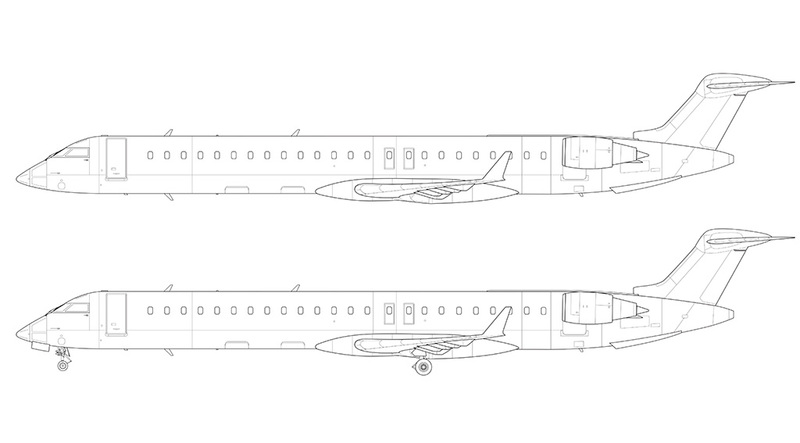 There’s an even longer version of this airplane (the CRJ-1000), which seems almost mind-boggling to me that they were able to stretch this basic airframe that much more. 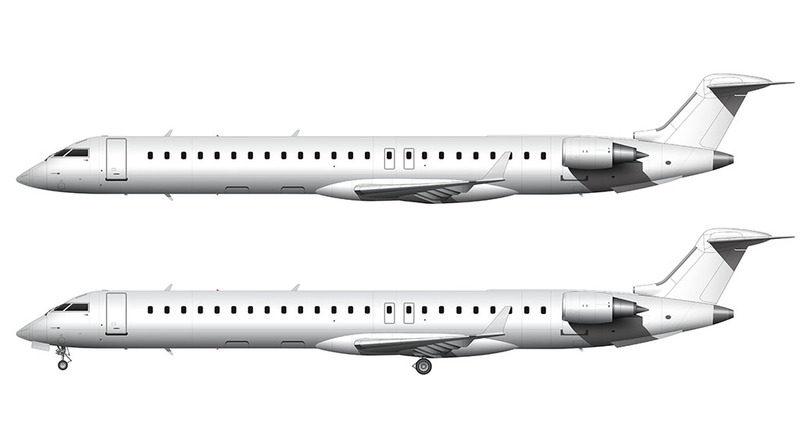 From a business point of view, I’m not really sure what the reasoning behind that extra stretch was – after all, the CRJ-1000 is nearly as large as a mainline aircraft at that point so it’s difficult for me to understand how the economics of such an aircraft would work. Perhaps it’s because Bombardier wanted desperately to offer a larger (mainline) aircraft but didn’t have the resources at the time to do it? That’s the only thing that makes sense to me, but now that the CS100 and 300 have been introduced, I don’t see much life left for the CRJ-1000. Thanks Parsa! Glad you liked the MAX series. 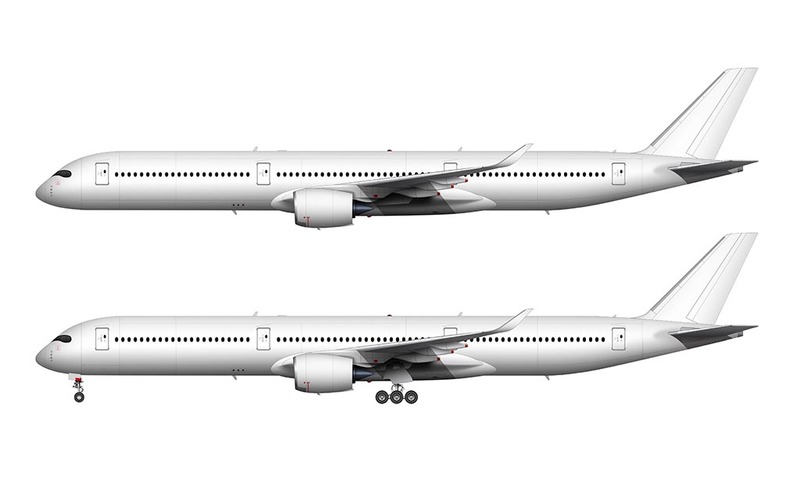 I’m planning on doing the MAX 9 eventually but there isn’t much information about it yet and I don’t want to do the template before Boeing finishes the design. But as soon as it’s locked down I’ll do it! Anyway, yes, the Concorde will be a fun one to do (not sure when I’ll get to it though). Piper Seneca V? Never heard of it! Googling now…. These are outstanding. Your line work is impeccable! These are such a great resource for fantasy livery designers, I certainly hope people find these and credit you in their designs. Thank you – I’m glad you find these illustrations useful!